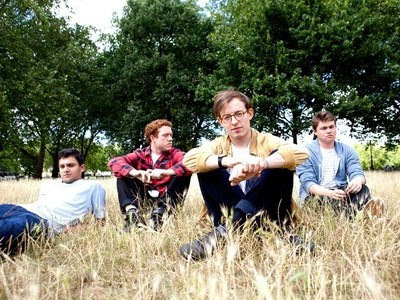 Bombay Bicycle Club are back with a new album which will be their third album to date. The album is called "A Different Kind of Fix" and their new single off the album 'Shuffle' is premiering today on BBC Radio 1 with Zane Lowe. The new tune will be available in the UK for download on Itunes tomorrow. The actual album is scheduled to be released on August 29th (assuming Aug 30th for North America). "the boys have gone through the rabbit hole only to re-emerge with the kind of musical makeover most bands would give both ears for. ‘Shuffle’ takes a match to those former jumble sale rhythms with a house piano sample, baggy drums and a funky bass riff."